Holiday season is quite a competitive time of the year for car companies. This is due, primarily, because the new year models have already been launched, and space needs to be made for them. Thus, to clear out the old, brands provide extraordinary incentives and deals to attract customers into the stores. These incentives save customers a lot of money that can be used to finance other things on your festival-buying list. You don’t have to look far to see TV commercials, ads in the paper and online websites, to find terrific year-end deals that can save you the most on your desired car. December is the last month of the year. Dealers are putting their best efforts into meeting or exceeding their projections for the year. They are prime and want to work hard to sell this year models to make room for the newer ones. To do this, dealers and the manufacturer’s offer major discounts and deals at lower interest rates, again, saving you big money. 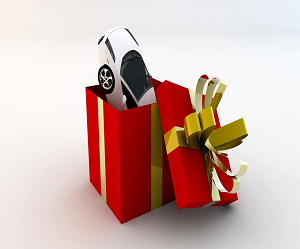 How about surprising your loved ones, by gifting them with their dream car? Sounds like a perfect gift to celebrate this occasion, right? Cars are durable and long lasting, so gifting someone with a car will have them cherish this holiday for the rest of their lives. If you are planning to visit your friends or relatives to celebrate this festive season with them, what else could be better than a road trip in this year’s newest car? For a comfortable journey, loaded with lots of fun and excitement, the end of the year can be a great time to buy.